Yeh Rishta Baby Swapping twist. Naira calls up Kirti to wish her on her birthday. She asks Kartik why isn’t Kirti answering. He worriedly sends a message from Kirti’s phone to Naira. Naira gets relieved on getting the message and tells Kartik that Kirti is busy. Kartik relieves Naira’s tensions and asks her to sleep. Naira gets suspicious when she learns about Kartik’s visit at the hospital. She reaches the hospital and wants to know the reason for Kartik’s lie. She gets a big shock on seeing Kirti in the ICU. She feels her dream has turned true. She gets a vision of the white cloth falling over Kirti’s face. She shatters with the vision. She turns dizzy with fear. This triggers her labor pain. Doctors inform Goenkas that Kirti’s state is stable and they should perform her operation to deliver the baby. Goenkas give the consent for Kirti’s timely delivery so that her baby stays fine. 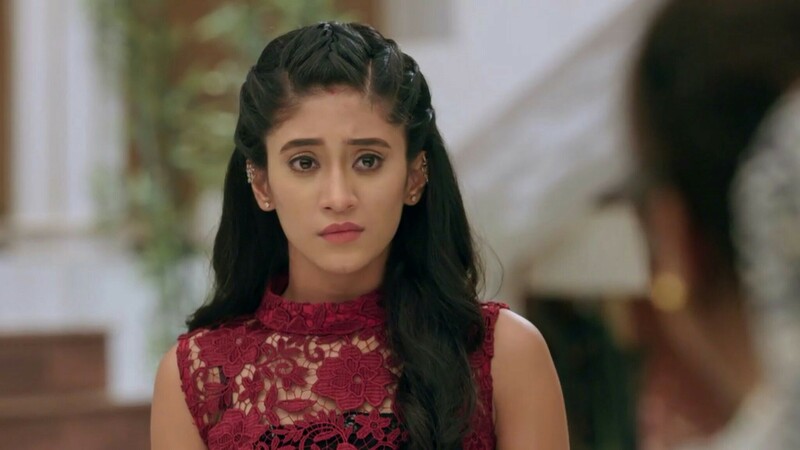 Kartik didn’t wish Naira to know anything since she has chances of clot recurring in her brain. He doesn’t want Naira and his baby to suffer by any trauma. Kartik learns the news of Kirti’s delivery. He gets Kirti’s child in his lap. He gets emotional when he gets the child. He hugs the baby and promises to himself that he will love him as his own child. He imagines the little baby calling him uncle. Kartik cries for the baby’s fate and swears to change his fate. Naira will be losing her child. Kartik and Naira will adopt Kirti’s child and raise him until Kirti comes out of the coma. There will be a baby swapping twist next. Kartik gets troubled by the fate’s decision. Ishqbaaz: Shivaansh suffers from a heart disease. He shares his pain only with Khanna. Khanna cries for him and hugs. Shivaansh asks him not to take much stress, its all destined. Dhruv asks them what are the hiding. Shivaansh asks Khanna not to tell Dhruv or anyone else about his disease. Shivaansh is fighting with his trauma. The new entry of Shivaansh’s love interest Mannat will be happening soon. Shivaansh meets Mannat and feels like love at first sight. He finds her very much similar to the girl described by his family.